Recently I visited with my doctor. Just an annual visit to touch base. She looked at me and said I looked relaxed, happy and glowing. 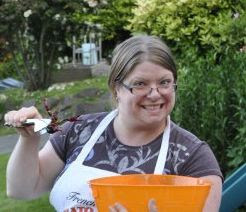 The #1 way to improve my health is thru lifestyle change. We both agreed it won't happen overnight, it could take up to a year! So with my little changes in habit that are becoming more routine, self care, relaxation and stress reduction, I have a few indulgences. We also laughed about choice and consequences, and philosophically discussed fluidity in our daily and seasonally life cycles. We are both the same age, nearing a decade change, so life is starting to have some different meanings. So, one thing i have on my indulgence list. 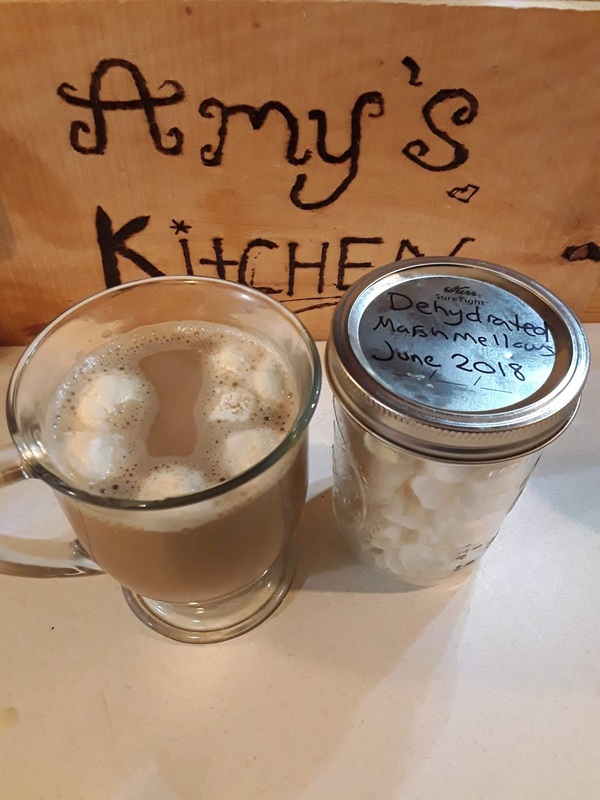 Mini marshmallows for my coffee. I know, right? It's not going to kill me, these are the only sugary bits I add. It makes me smile and think of innocence. 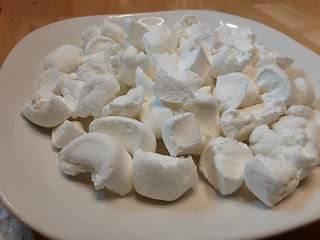 Recently I ran out of my supply, so as I already had my dehydrator going, I put in some regular sized marshmallows (since I always keep a bag on hand for campfires), but cut them in half. I am giggling as I recall waiting to see if they were just as good. They were! 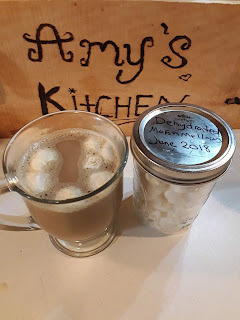 Not going to post a recipe, this is one thing that is still needing tweaking as i used different temp settings and I haven't a clue how much total time went into making my little treat.